New 2017 integrated gear and brake lever. I am a big Brompton fan, but this is nasty.. It is a cheap construction but over priced nasty lump of plastic that isn't fit for purpose. I thought the old gear changer was bad, but this makes it look good. After 3 days I took it off and replaced it with a Sturmy Archer shifter. It was hard to set up, impossible to keep working. Can I use this on a Joseph Kuosac full rise bar? It would be difficult to do a straight swap as when Brompton introduced the new type handlebar in 2017, it came with a longer stem, so all of the measurements will be different. Does this work with both SRAM and Sturmey 3 sp Gears? Yes this should work for SA and SRAM 3 speed hubs. Is the 2017 Brompton 3 speed Hub Gear Shifter with Int. Brake Lever compatible with the Ti Parts Workshop 2/6 Speed Titanium Rear Sprocket Set? This shifter is for 3 speed, the internal gears. You will need a 2 speed shifter, to run with the DR and then yes you can use the TPW sprocket set. The shifter is only available as a part with the brake lever. Hello. you mention this can't be fitted on an M or H handlebar, i don't understand why. Can you inform what are the restrictions? Could it be fettled to fit? It is not recommended by Brompton due to the reduced clearance offered by the shifter. 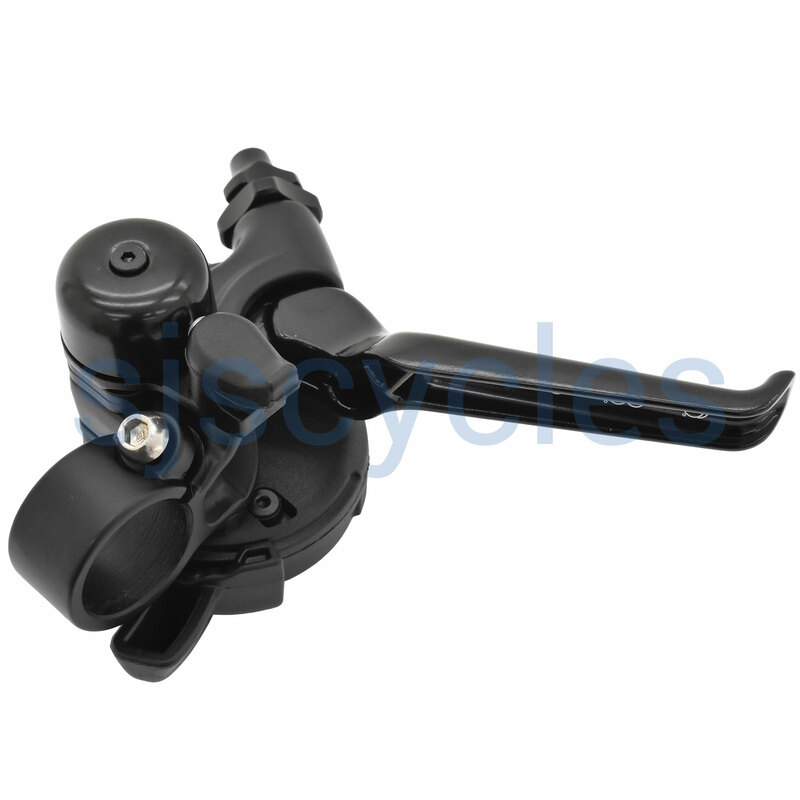 This means that the lever clamp has to sit further outboard on the handlebars reducing the space for grips. The pre-2017 M-type grips are already as small as Brompton want to make them so they don't recommend the new shifters.